Not all leaders move us forward. Some use their position of power to destroy progress and global advances for their own personal gain. Some do it for spite. Others do it out of sheer ignorance. Some just do not understand the real world. Some, like Secretary of State, Tillerson said, are just f*** ing morons. Others are just plain dotards. The guy currently in the Offal Office, the #BLOTUS, is moving our nation backward as fast he can, Sad, very sad, that our congressional leaders are not opposing his destruction of our great country. 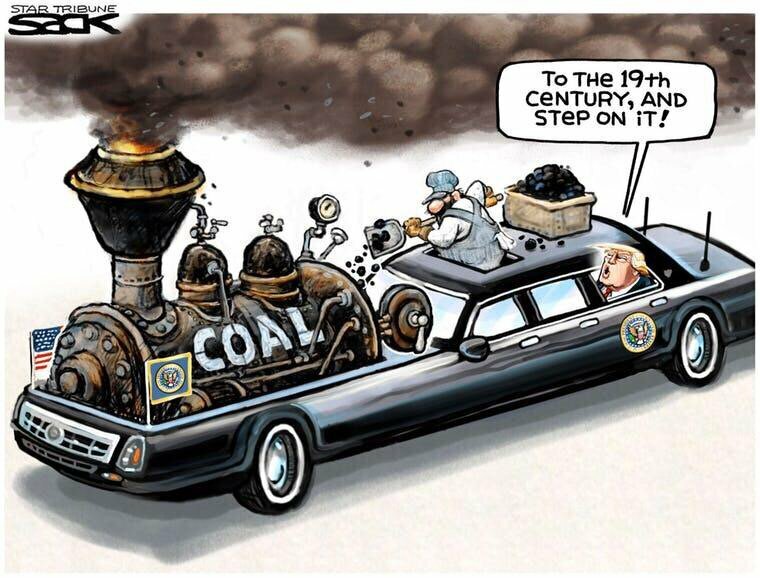 This entry was posted in News & Views and tagged 19th century, BLOTUS, climate change, coal, denial, disaster, dotard, enviroment, global good, global warming, ignorance, moral bankrupcy, moron, nation congressional leaders, reat country, Rex Tillerson, sad, spite on October 14, 2017 by Ray Buchanan. I can not remember any presidency in my seventy years that has been so dysfunctional, and such a total embarrassment to our country. What other of our nation’s leaders has been so unable to tell the truth? bragged about being able get away with murder? laughed about being a sexual predator? completed ignored the Constitution? wasted so much on vacations so fast? continually attacked the press? could not stop whining? The real story isn’t the leaks. The real story is that the #BLOTUS is a one-man rolling crisis. He is frighteningly dangerous to the health, well being, and future of our nation. He is causing great concern, even alarm among our allies and has made the United States a laughingstock around the world. And the backstory is even worse. His appeal to the lowest common denominator points out the serious, even fatal flaws in our society. Those supporting him are so wedded to his bigotry and clearly racist agenda that they are willing to ignore the truth. 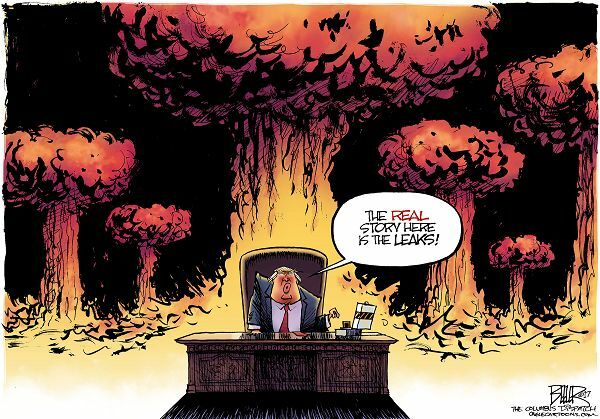 The real story is that this president is a total disaster. This entry was posted in News & Views and tagged bigotry, BLOTUS, constitution, dangerous, disaster, dysfunctional, election, embarrassment, fatal flaws, laughingstock, leaks, press, racist, reality, Special Investigator, story, warnings, world allies on May 18, 2017 by Ray Buchanan. (Raleigh, NC, Oct 17, 2014) – Stop Hunger Now continues to provide food and donated aid to partners in Sierra Leone and Liberia in response to the outbreak of the Ebola virus in West Africa. Stop Hunger Now U.S. and Stop Hunger Now Southern Africa have already shipped 2.2 million meals and more meals will be in route in the next few weeks. “The situation of the country at this time is nothing short of pitiful,” says Josaphat, leader of the Salesians of Don Bosco in Monrovia who are working in the villages of Liberia to help prevent and defeat Ebola. According to the Centers for Disease Control, the 2014 Ebola outbreak is one of the largest in history and affects Guinea, Liberia, Nigeria, and Sierra Leone in Western Africa. To date, more than 4484 deaths are attributed to suspected cases of the virus. 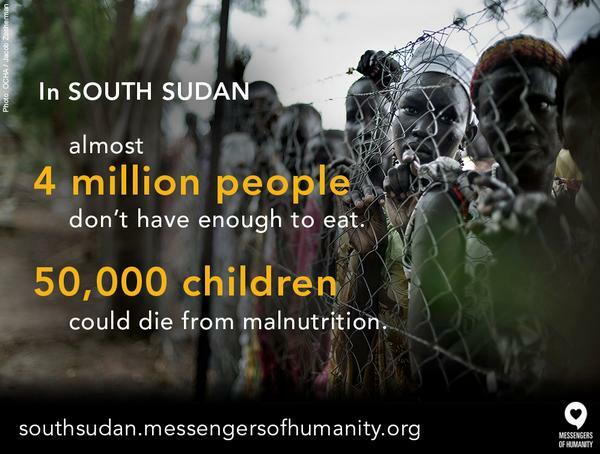 As a result, there are reported incidences of food shortages, starvation and a general increase in food insecurity in the region. Experts indicate there is a good chance of survival if the Ebola sufferer receives appropriate treatment, especially through blood transfusions, good nutrition; clean beds and mattresses, good personal health and protective material. In addition to meals, Stop Hunger Now shipments have included other critical supplies and donated aid such as medical gloves, face masks and personal protection equipment. Stop Hunger Now is working with in-country partners Salesian Missions, Reach Now International, New Harvest Ministries & Final Command Ministries and Liberia Baptist Missionary and Educational Convention in Sierra Leone and Liberia to distribute the meals and supplies. This entry was posted in Facts & Statistics, Hunger & Poverty, News & Views, Quotes and tagged CDC, Centers for Disease Control, disaster, Ebola, Guinea, Hurricane Sandy, Liberia, meals, Monrovia, nutrition, Sierrra Leone, South Africa, Stop Hunger Now, Typhoon Hayan, West Africa on October 17, 2014 by Ray Buchanan.